George W. Pierce, IRE President, 1918 - 1919, is considered one of the founding fathers of communication engineering. George W. Pierce , one of the founding fathers of communication engineering, was born on 11 January 1872 in Webberville, Texas. He studied under Alexander Macfarlane (known for his contributions to the theory of alternating currents) at the University of Texas, where he graduated in physics. In 1900, Pierce earned a doctorate from Harvard University for his dissertation on high-frequency electromagnetic waves. He then studied for about a year at the Boltzman Laboratory in Leipzig, Germany, before returning to Harvard where he spent the rest of his professional career. In one of his first researches, Pierce used a high-frequency dynamometer to measure the current distribution in a loop antenna. He verified the image theory for antennas elevated above the earth as well as over artificial grounds. He also investigated the effects of both inductance and shunt capacity tuning of receiving antennas. His wave meter was used in wireless telegraphy applications. At resonance, a high-pitched signal was produced in the telephone receiver. After hearing reports of the good performance of carborundum radio detectors, Pierce carried out a long series of quantitative experiments on various minerals used as crystal rectifiers. He was one of the first to employ the Braun cathode-ray tube indicator with a camera to obtain visual images of rectification. His findings convinced him that the thermoelectric theory was not an adequate explanation of the rectification phenomenon. He used a similar experimental setup to study electrolytic detectors and found that, in sensitivity, "the best crystal rectifiers are about equal to the electrolytic detector." Much of his early research was reported in his classic book Principles of Wireless Telegraphy, published in 1910. 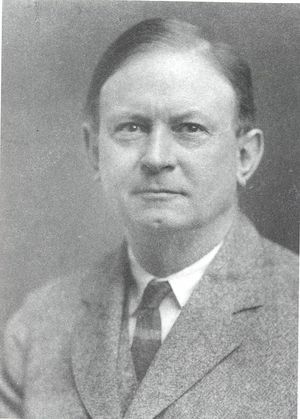 Pierce became the first Director of the Cruft Laboratory at Harvard in 1914 and was elected a Fellow of the IRE in 1915. He served as IRE president in 1918 and 1919. During World War I, Pierce was involved in investigating ultrasonic detection of submarines for the U.S. Navy. His second book, Electric Oscillators and Electric Waves, was published in 1914. He succeeded Edwin H. Hall, remembered as the discoverer of the "Hall effect," as Rumford Professor at Harvard in 1921. Pierce also was elected to membership in the National Academy of Sciences. During the 1920s, he added piezoelectric crystals to his research agenda and invented the "Pierce oscillator," which he patented in 1923. He also studied the magnetostriction phenomenon and received a patent on a magnetostriction oscillator in 1928. Pierce received the IRE Medal of Honor in 1929 in recognition of his contributions to the theory and applications of crystal detectors, piezoelectric crystals, and magnetostriction devices. The award citation also mentioned his role as a leading educator and author of books in the electrical field. In his later years, Pierce researched the sound of bats and insects and published The Song of Insects in 1948. He died on 25 August 1956 at the age of 84. This page was last edited on 14 August 2017, at 15:03.